Did you know that often times the air inside our homes and offices is more polluted than the outdoor air? 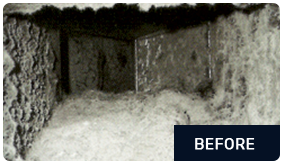 Check out the before and after pictures from our air duct cleaning experiences. Why is the air in our homes dirty? There are the obvious factors such as pet dander and cigarette smoke, but the real culprit here is bacteria, molds and fungus. Most commercially purchased disposable fiberglass air filters are only 7% efficient in stopping dust, pollen and mold spores leaving 93% to pass into your air conditioner and air ducts. This cool, dark, moist environment provides the perfect breeding ground for bacteria and fungus. Simply turning on your air conditioner propels a whirlwind of microscopic organisms into every room of your home. Precision Air and Heating is the top duct cleaning company Phoenix has to offer! 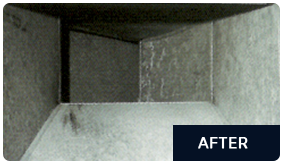 For only $49.95 per vent, here’s how we perform the most impressive air duct cleaning services for Arizona residents. When you call Precision Air and Heating to perform the most complete duct cleaning services Arizona has to offer, we make sure your ducts get the full treatment so that your system is allowed maximum air flow. 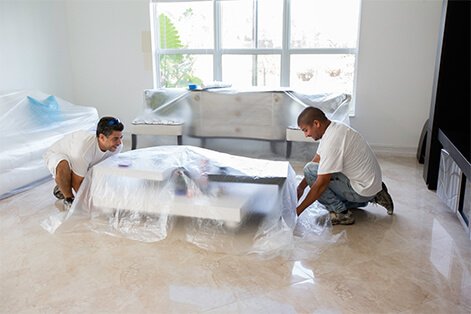 We pride ourselves in being the most efficient air duct cleaning company Arizona has in its roster, and we start by protecting your home and furnishings with tarps and plastic to prevent freed dust or debris from settling. Next, we cover all of your vents to create negative pressure inside them, which will help our HEPA sealed vacuum to remove more dirt. Once your vents are sealed, we hook up the vacuum and let it begin pulling the loose dirt and debris out of your ducts. When the bulk of the dirt has been removed, we take off your vents and send an agitator down the ducts as far upstream and downstream as possible. This will help free up any debris or particulates that have collected along the sides of the ducts, and will allow our vacuum to continue to pull them free. While this is going on, we take all of your registers outside and give them a thorough cleaning. Any dust, debris, pollen, or irritants that have built up on the registers is removed. Finally, before we seal things up again, we completely sanitize your ducts with our biocide treatment. Biocide kills any mold or mold spores that may be hiding inside your ducts, leaving them completely clean and sterile. The final result is a duct system that delivers nothing but clean, cool air. You’ll notice a difference immediately with less dust, fewer allergies, and an air conditioning system that isn’t working as hard to keep your home comfortable. This means better indoor air quality and lower energy bills. Best of all, you’ll be maintaining the life of your system, so you’ll be saving on maintenance costs or on the cost of a new HVAC. Get the best air duct cleaning Phoenix can provide and you’ll have all of the above. No matter how clean you think your ducts are, if they haven’t been cleaned in recent memory, it’s time to have them done. Remember that your HVAC system relies on clean, unobstructed ducts to work properly; dirty ducts could cause a system failure in addition to extra dust and potential allergies. Call today to have the most capable air duct specialists Phoenix AZ has ever seen set up your duct cleaning and start feeling the difference in your home. 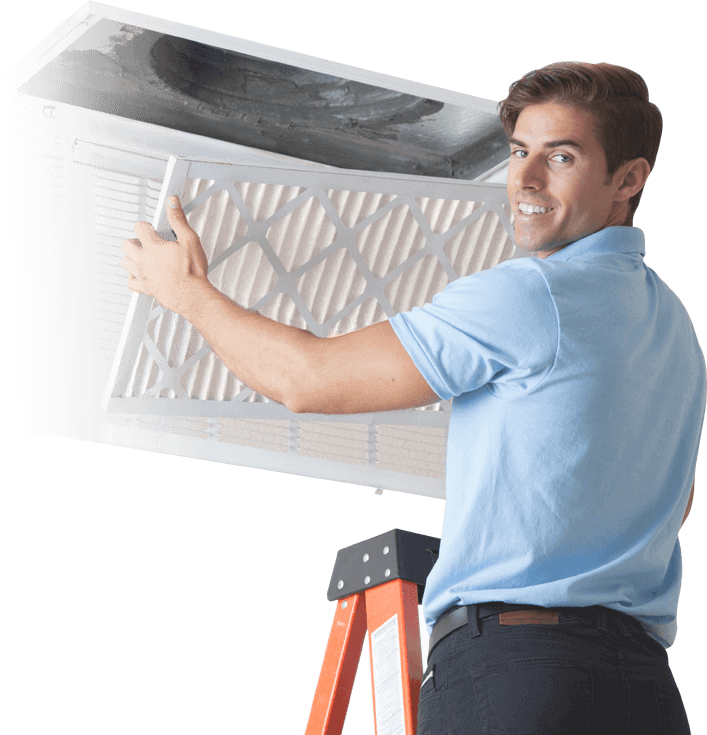 You will find that by maintaining a cleaner air system that you will not only breathe easier but your air conditioner will as well. That is a guarantee from the company that delivers the best air duct maintenance Phoenix has to offer. This means lower electric bills for you and healthier living for your family. “Make the Precision Decision”™ to get your air ducts cleaned and increase the air quality in your home. Give us a call today, 602.349.6922. Our service area includes Phoenix, Mesa, Scottsdale, Tempe, Chandler, Glendale, Gilbert, Peoria, Surprise and surrounding areas.